What is the Faking Framework? 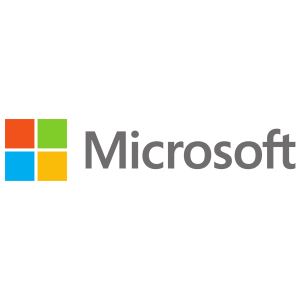 The Microsoft Faking Framework is an isolation (mocking) framework that allows us to mock the static, sealed method without rewriting any implementation code. The mocking is primarily used in unit testing. An object under test may have dependencies on other (complex) objects; to resolve that dependency in unit testing, we need to mock. If we have a dependency on other components in a project, then we need to implement mocking for automated unit test cases. The benefits of MS fakes include easy-to-write unit tests and less refactoring time, although at the expense of maintaining tightly-coupled code. 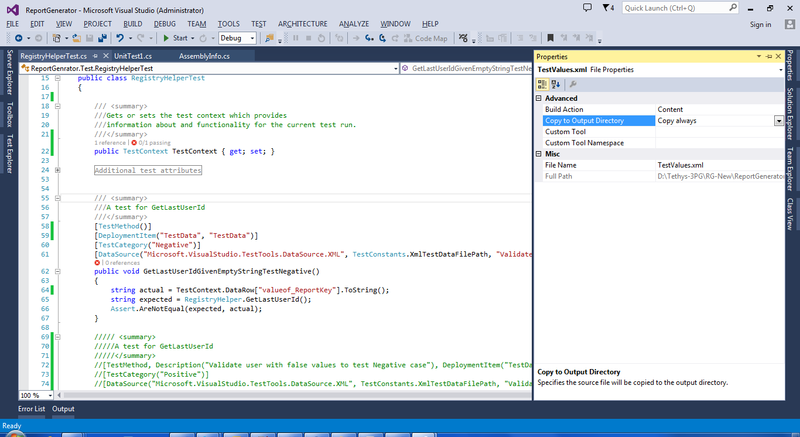 The Fake framework in VS 2013 is the next generation of moles and stubs and will eventually replace the Moles feature. A stub replaces a class with a small substitute that implements the same interface. To use stubs, we have to re-design our application so that each component depends only on interfaces, and not on other components. By “component” we mean a class or group of classes that are designed and updated together and typically contained in an assembly. 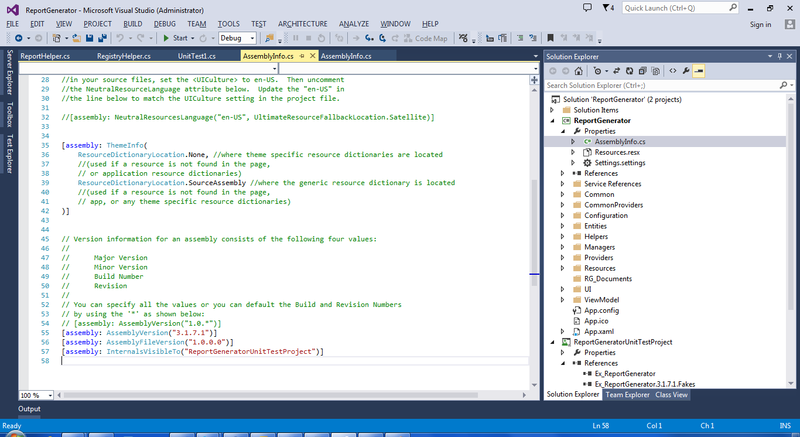 A shim modifies the compiled code of our application at run time so that instead of making a specified method call, it runs the shim code that our test provides. Shims can be used to replace calls to assemblies that we cannot modify, such .NET assemblies. When we are using a mock object or methods and using stubs, we need to design our class structure according to the stubs rule that each class should be inherited to interfaces. 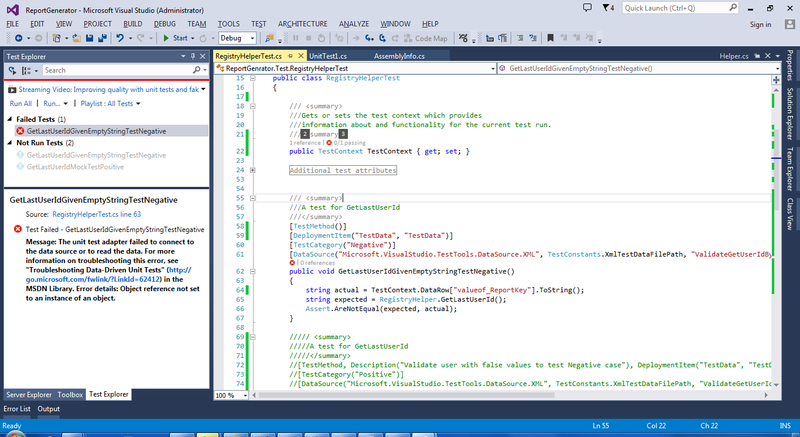 To start writing unit test cases using MS Fake, we need to add the Faking framework library. 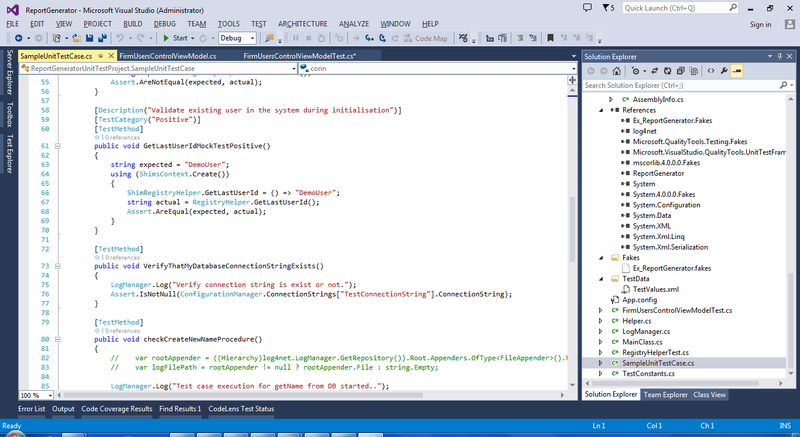 The integration of Fakes with Visual Studio 2013 is brilliant. To create a “fake” of an assembly, we need to right click on the references and click the option “Add Fake Assembly” in test project. 1. A new “Fakes” folder is created with a .fakes files created in it. For example, if we are creating fakes for “System.Configuration,” a file called “System.Configuration.fakes” will be created. 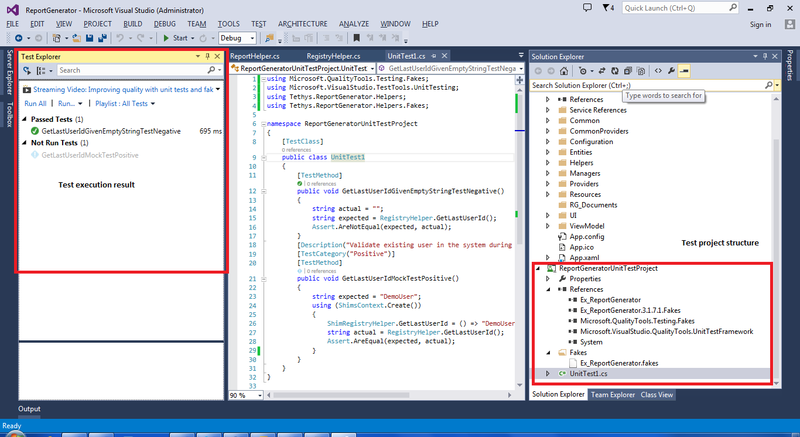 Visual Studio also adds a reference to the generated assembly in the “FakesAssemblies” folder. The “FakesAssemblies” folder and all of the files in it are generated whenever the project is compiled. This is important because if we are adding fakes for an assembly for a changing component, the generation of the “FakesAssemblies” will ensure that all changes are reflected in the generated assembly. After adding a successful faking DLL(s) system, we will add one more DLL named mscorlib.4.0.0.0.Fakes. Note: The mscorlib.4.0.0.0.Fakes assembly contains a special type called Shims. 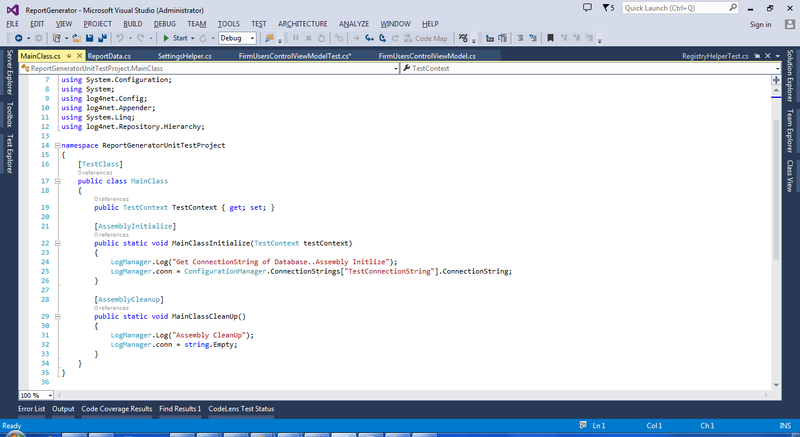 Shims are a strongly typed wrapper that allows developers to replace .NET types with delegates. The structure of a unit test screen looks like the screen shown below. The left part of the screen is a test execution result. The right part of the screen is a structure of the test project. The center part of the screen is the actual unit test case. 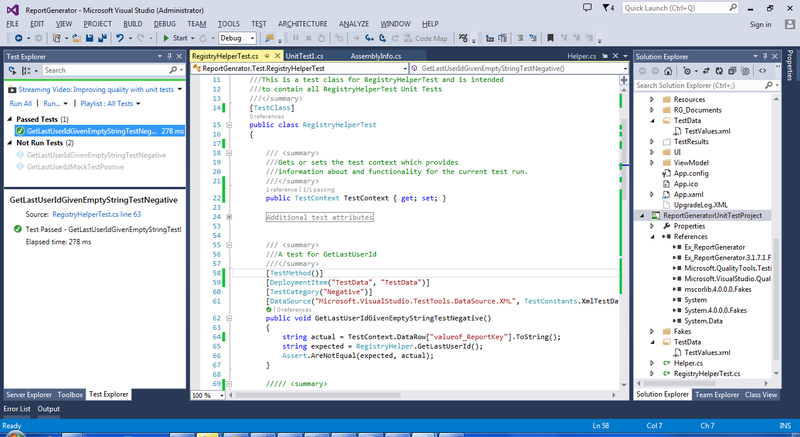 To execute the test cases, right click on the test method and choose “Run test” or go to Test > Run > All test. 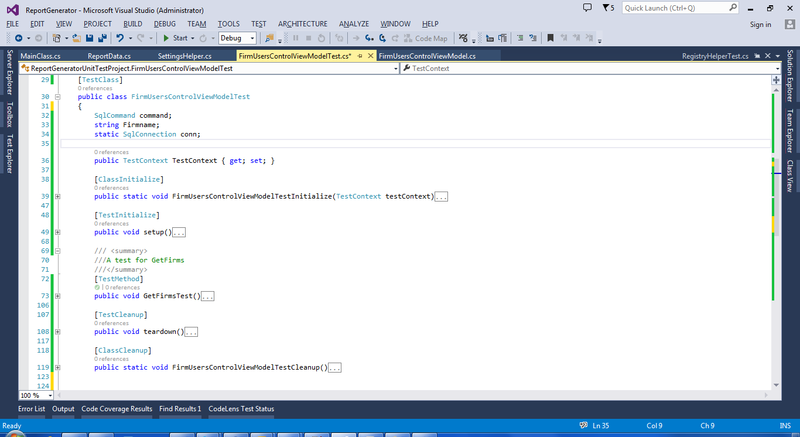 Create setup (all required DB objects) to execute the test case. If we mock the object or class by using “Shims” then there is no need to change anything in the solution. However, when we use “Stubs,” we then have to re-design the structure of the solution because it will inherit all of the classes from the interface. MS Fakes work only with the Ultimate or Premium edition. I have installed the professional edition and found it does not work. Open AssemblyInfo.cs of the main project and add [assembly: InternalsVisibleTo("UnitTestProject")] as shown in the screen below. When we play with an external data source like XML to execute our test case, we need to add the reference of “System.Data” by right clicking on Reference > Add reference, otherwise we can not read the data from the XML file. After the code was written to get the test values from external data source, I could not get a result like screenshot shown below. The following are the common issues that you may encounter along with their solutions. Issue: The unit test adapter failed to connect to the data source or read the data. 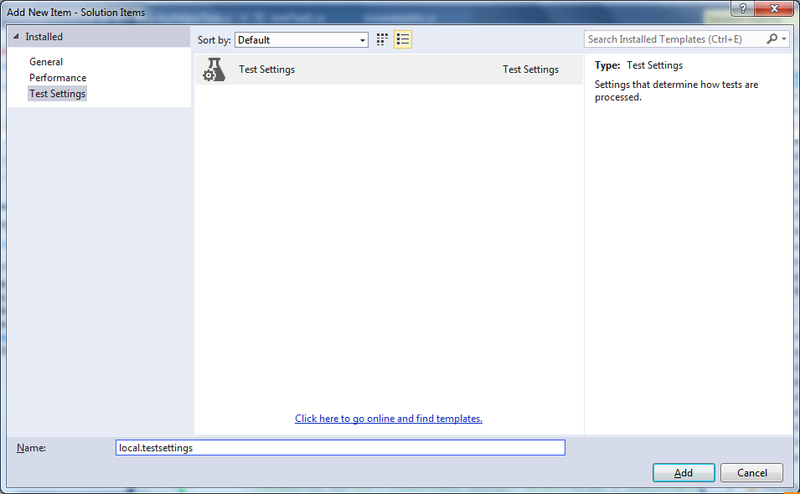 Solution: Go to the Solution Explorer, add a new item into solution, select “Test Settings” from the left menu, and then add a new test setting. 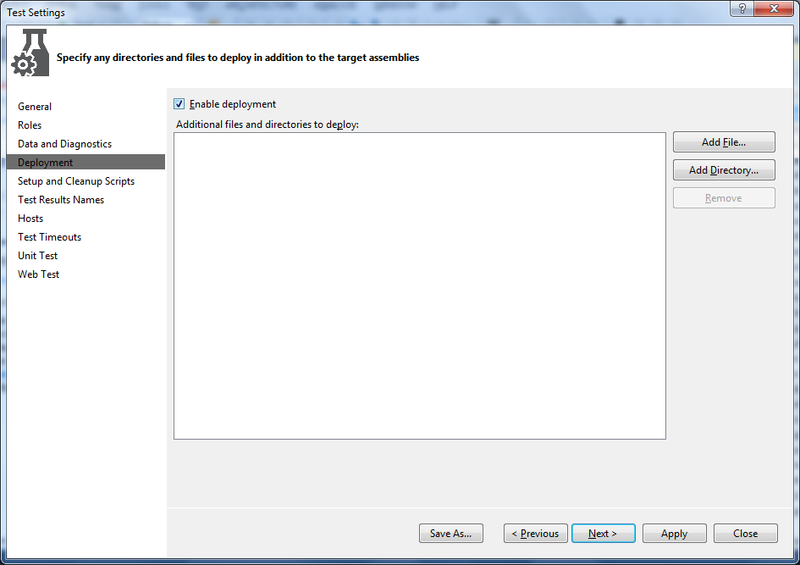 In the “Test Settings” window, select “Deployment” from the left menu, then check the “Enable Deployment” check-box and click on apply. If the problem still persists, go to Solution Explorer, locate the test data XML file and then open the file properties. Make sure the “Copy to Output Directory” property is NOT set to “Do not copy” – make it either “Copy always” or “Copy if newer” like the screen shown below. Unit testing is a major component of every project. The early feedback received from our tests help us feel confident that we didn’t introduce new bugs and that we gave actual working code to QA. The Faking framework helps us to mock the dependent complex module like email server and database layer. We don’t need to implement a dependency injection and we don’t need to create a fake by inheritance. Every faked instance looks and feels like an instance of the faked type. After comparing all of the other mocking frameworks available in the market, the MS Faking framework gave us more features than the others. Therefore, we highly recommended using the MS Fakes with your projects to have a better delivery of the code. Neeraj is a Module Lead at 3Pillar Global. He has over 9 years of development and design experience in several competencies based around Microsoft technologies. At 3Pillar, Neeraj has extensively worked on applying various design logics and tools for application and database performance optimizations, as well as on unit testing enterprise applications using effective Fakes for proprietary data-sources. Prior to joining 3Pillar, Neeraj had worked with different organizations on multiple domains such as transport, food and supply, UIDAI, media, and courier tracking.